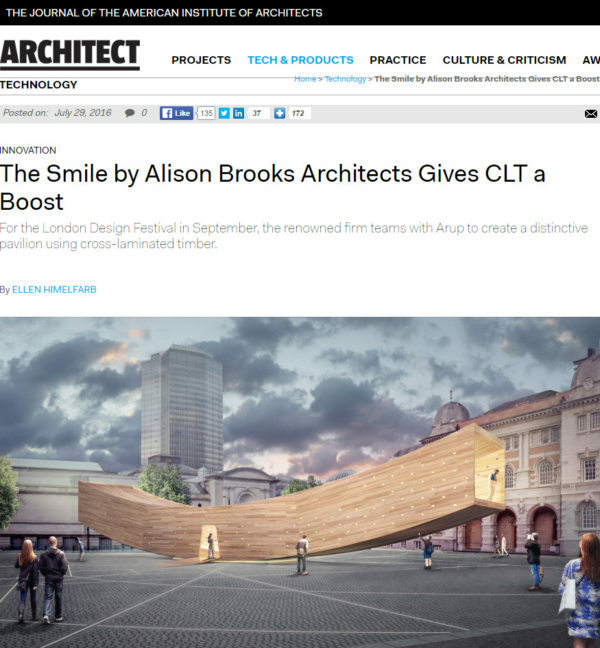 The Journal of the American Institute of Architects featured this article about The Smile. 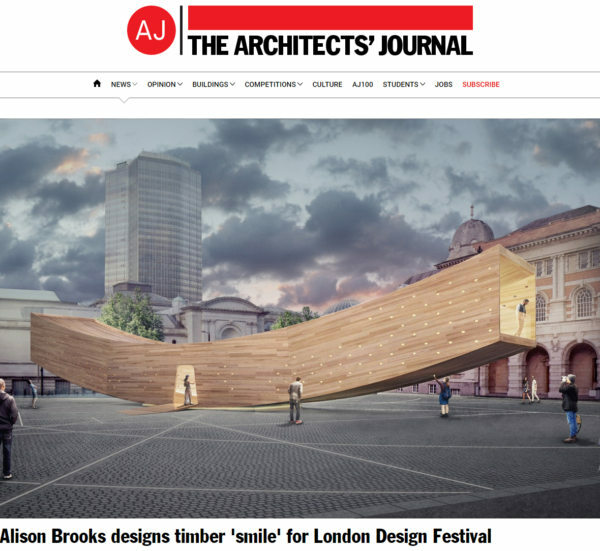 The Architect’s Journal showcased Alison Brooks Architects’ urban installation, ‘The Smile’. 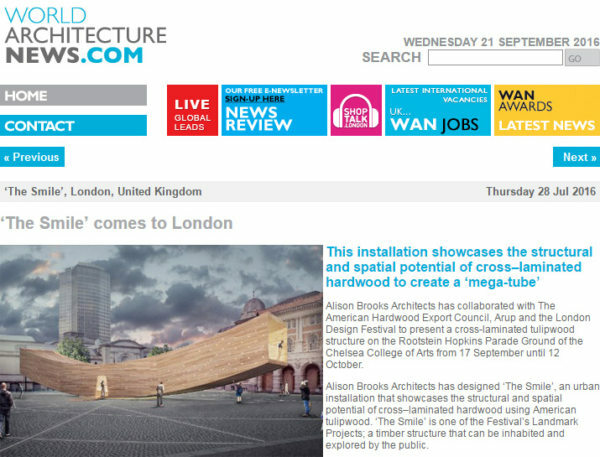 The practice collaborated with The American Hardwood Export Council, Arup and the London Design Festival to present a cross-laminated tulipwood structure on the Rootstein Hopkins Parade Ground of the Chelsea College of Arts from 17 September until 12 October 2016. 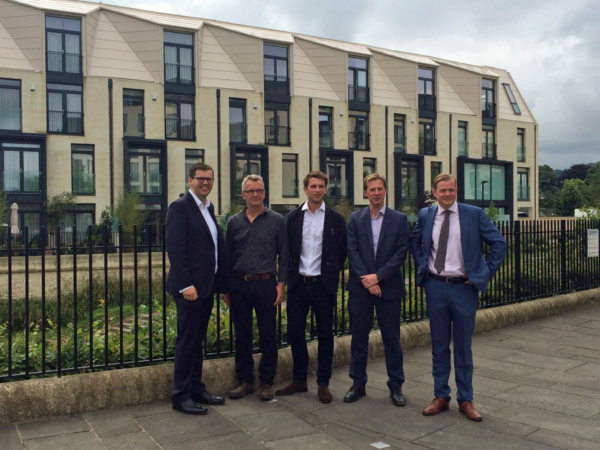 Alison Brooks Architects and Feilden Clegg Bradley Studios showed Bath MP Ben Howlett around Bath Western Riverside in order to highlight quality design, space standards, and the issues of affordability. The tour forms part of RIBA’s ongoing engagement with MPs, championing these issues, as the shortage of new housing is addressed. 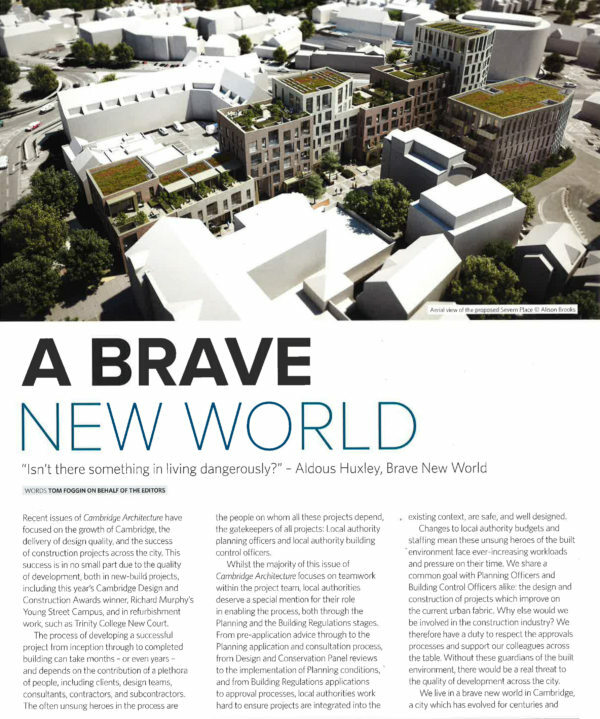 This 43-dwelling scheme for London Borough of Brent has been named among the four finalists for the inaugural AR Housing award. The £8.2m project, which forms part of the South Kilburn Estate Regeneration masterplan, is joined on the international shortlist by ground-breaking housing developments in India, France and Denmark. 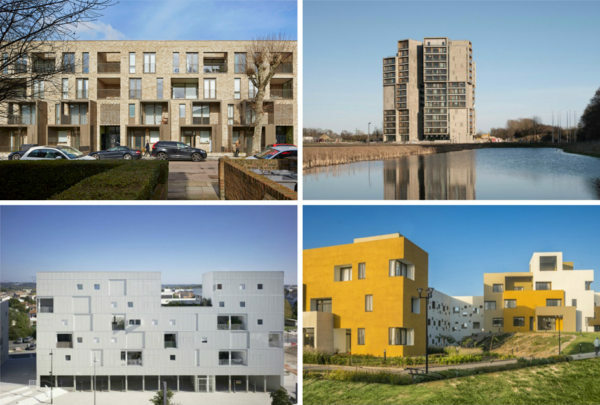 The new award was launched to seek out the best housing projects constructed within the last five years – from social and public/private to private schemes, from micro-scale to large-scale projects, from housing complexes to student residences to apartment blocks. 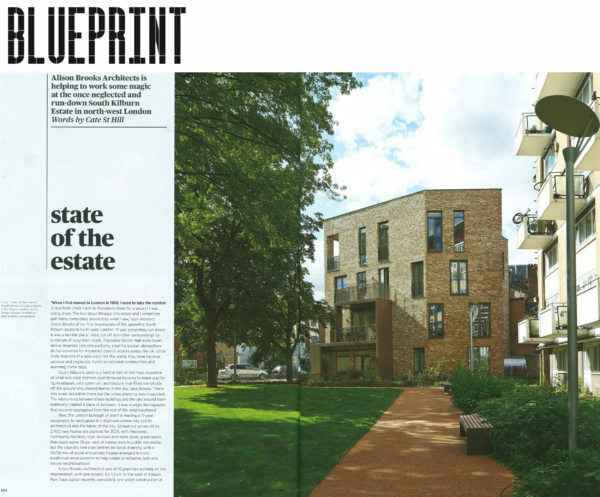 Alison Brooks Architects won two Housing Design Awards, including the 2016 Mayor’s Award for Ely Court, which forms part of the South Kilburn Estate Regeneration masterplan. 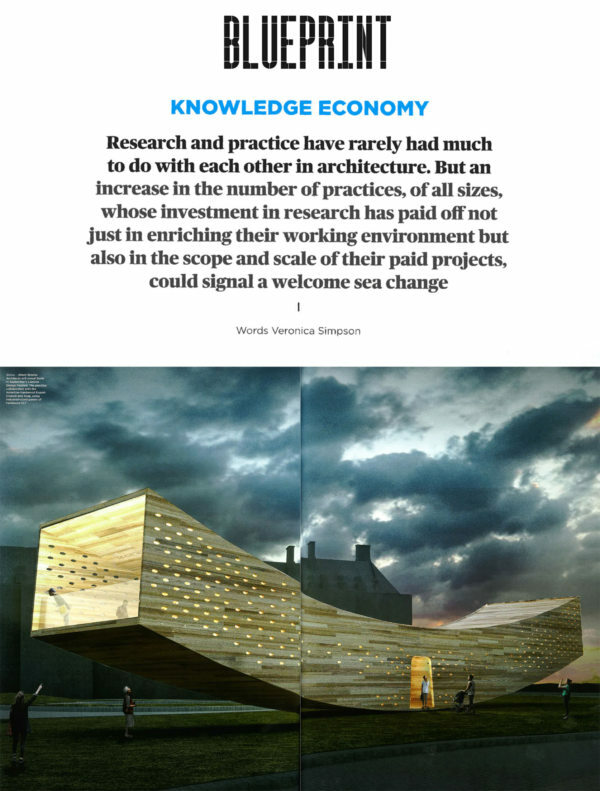 The other was a Project Award for the Veteran Oak Quarter, which forms part of Cambridge University’s exceptionally ambitious North West Cambridge Development. 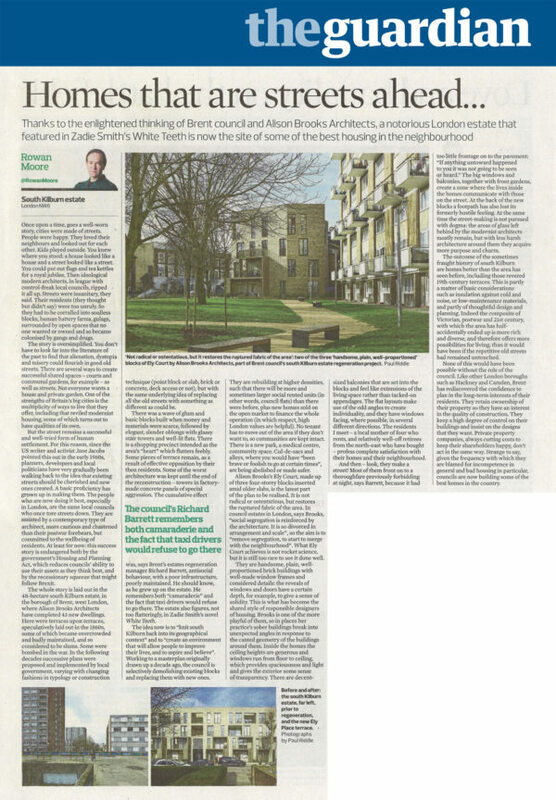 “Thanks to the enlightened thinking of Brent council and Alison Brooks Architects, a notorious London estate that featured in Zadie Smith’s White Teeth is now the site of some of the best housing in the neighbourhood,” writes Rowan Moore in his review for the Guardian / Observer. 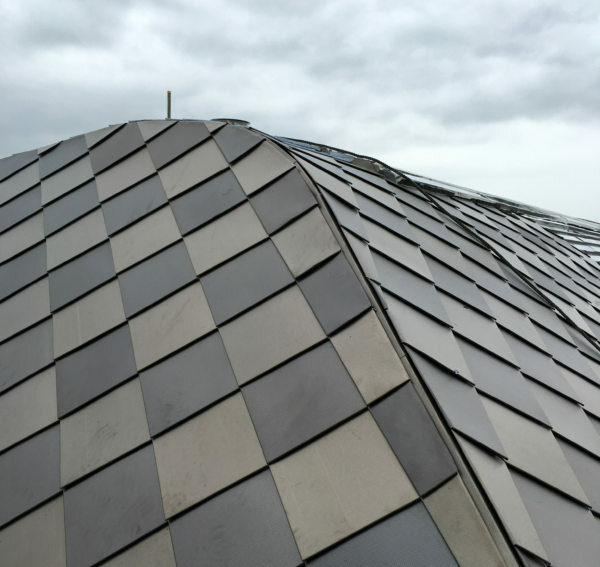 The patterned stainless steel roof is under construction in ABA’s new 6000 m² Cohen Quad, which expand Exeter College’s 700 year old campus in the heart of Oxford. 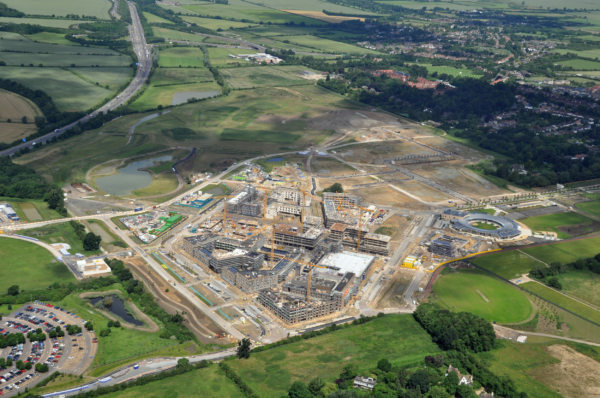 New aerial photographs show the construction progress of Cambridge University’s exceptionally ambitious North West Cambridge Development. 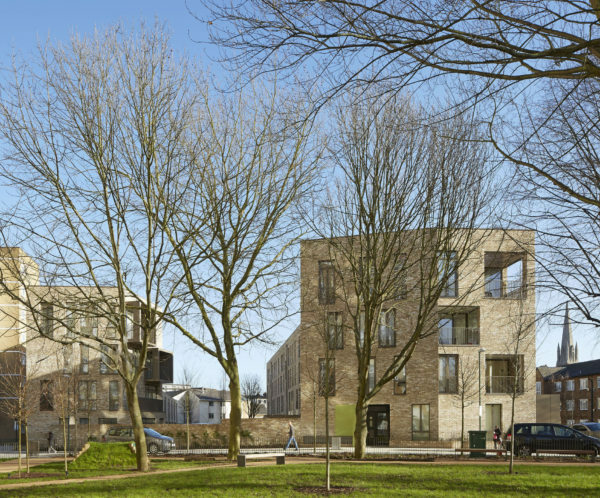 Alison Brooks Architects & PTE’s Veteran Oak Quarter forms Lots M1 & M2 of this development.